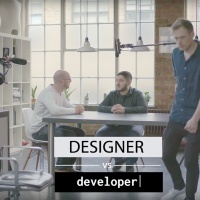 Designer vs Developer #19: What are the pain points for web designers? Mustafa Kurtuldu, Design Advocate at Google, discusses the pitfalls of designing for a single browser, drawing from his conversation with with Bruce Lawson, web standards lovegod and fashion consultant. 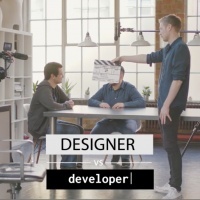 This is the last episode from Google Design Advocate Mustafa Kurtuldu’s YouTube and podcast series aimed at improving understanding between designers and developers. In this episode he speaks to Matt Gaunt, a Developer Programs Engineer on the Google Developers Relations Team, about progressive web apps and the challenges web developers face when compared to their native counterparts. 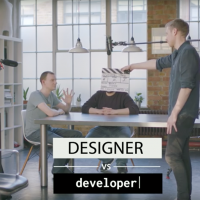 Designer vs Developer #5: Who is responsible for design? 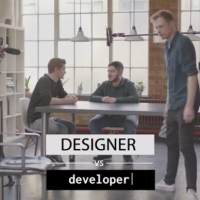 Should designers code? 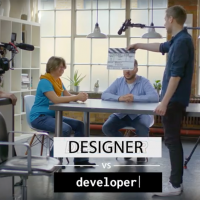 Designer vs Developer #4: Are designers born or made? 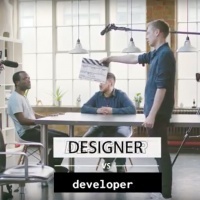 In this video and essay Google Design Advocate Mustafa Kurtuldo discusses the challenges of balancing creativity and user testing. Has the UX movement has over regulated the creative process?